Summer training camps begin June 9, 2019, and run weekly for 9 weeks with the last week beginning August 4, 2019. Come for a week, multiple-weeks or the entire summer! Multiple week stays are recommended for optimal training benefits. Sunday arrival, Saturday departure. 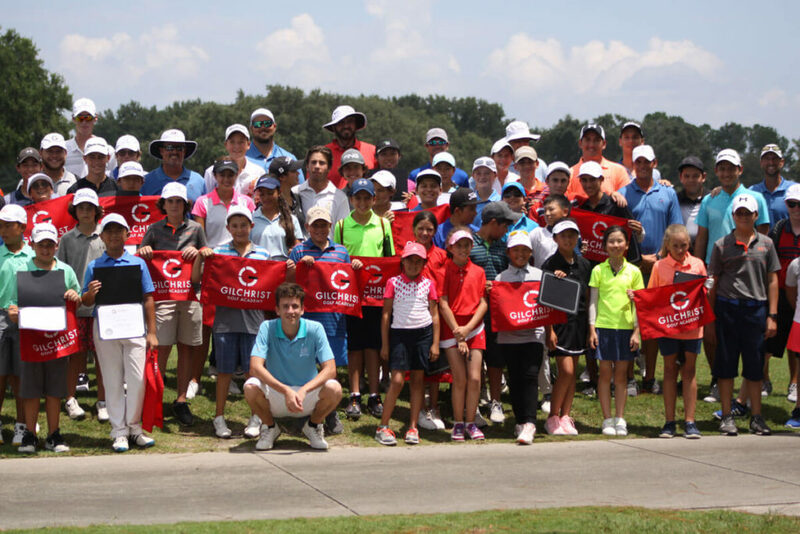 This one week camp helps students get a taste of what it is like to “Train Like A Champion” at the Gary Gilchrist Golf Academy and is geared towards beginner golfers. You will leave this one week camp with a personalized development plan a vision for improving your game. This plan will be the foundation for achieving your goals. Available from June 9-August 10. This two-week In-depth training camp is perfect for the intermediate junior golfer. A greater emphasis on improving fundamental schools with the use of technology and drills will be used to execute your personal plan. Juniors will also experience more intense mental and fitness performance training to not only Play like a Champion but to Think like one too. Available from June 9-August 10. These two-week training camps focus on preparing a student for competitive play. The on-course strategy is key to a player’s development so they learn to perform at a high-level. Working and teaching a player the importance of a pre-shot and post-shot routine is vital to building consistency which can lead to better results and build confidence. This two-week camp INCLUDES one entry into the Gary Gilchrist Summer Tournament Series including a practice round for the two-day tournament in Central Florida. Whether your athlete is just starting or has been playing for a few years, this golf training camp is customized to each student’s skill level. The Gilchrist Experience is unlike any other junior academy. Gary’s mastery of developing junior golfers is the basis of the Practice | Prepare | Perform training module that we use to accelerate the golf development for each student. Practice | Prepare | Perform focuses on cultivating a mindset in each player that instills the understanding of quality routines to improve technical skills, developing mental skills that advance a player’s ability to overcome challenges and adversity when competing, and ultimately achieve lower scores when competing. Let our coaching team get to know you and assess your game, understand your goals, your strengths, and your challenges. During your time at GGGA our team will build a great plan that will help you improve when you are here and also make sure you understand what you need to work on once you leave GGGA. GGGA Campers receive technical training, mental, and fitness techniques they can take home with them to continue improving their individual game. Following the initial assessment day, players will work closely with GGGA’s experienced coaching team to develop the skills they need to follow their personal training plan. We use CoachNow to track your progress and give you drills that are for YOU and your personal development plan. All of these tools will help you to stay on track while you are away. Come “Train Like a Champion” with the GGGA team and see the difference in the Gilchrist Experience. See how the Practice | Prepare | Perform training process can help you improve your game.